Tina Fey writes like a person I’d love to sit down and talk with. She’s silly. She’s self aware. She’s lyrical. She’s amazing. 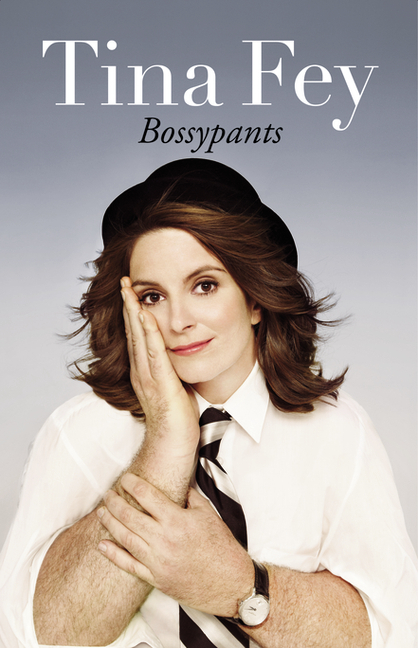 Bossypants chronicles Fey’s life in show business from her humble beginnings as the night box office manager at a youth theatre to being the creator and star of “30 Rock”. It’s not only a great look at show business and following your dream, but it’s a great look at show business and following your dreams through the eyes of a woman. I guess how a few weeks ago when I pondered the notion of white privilege, I overlooked until my friend Germaine pointed it out, that there’s also a great deal of male privilege in the world. While I don’t necessarily think of Tina Fey as the funny lady who created a great television show, she and most of entertainment apparently does. I don’t agree with all of the ideas she presents in the book, but then again as a dude, I probably have little evidence to support my disagreement. There are a lot of great chapters for navigated not just show business, but life. The chapter titled I Don’t Care If You Like It was particularly valuable to me. She used Seasame Street logic to explain how to get ahead in career by going “over, under or through obstacles”. Bossypants has a whole slew of life lessons in between the jokes. Like the show she’s created, the comedy comes at you in pretty quick succession. Fey’s a strong writer of sketch, television and now you can add books to that list. One of my favorite written comedy devices is the use of footnotes. Douglas Adams was a master at them when he wrote the Hitchhiker’s Guide to the Galaxy series. Here, Tina Fey uses them just as effectively and hilariously. ** I strongly recommend reading this book to everyone. It doesn’t matter if your a fan of Fey’s work or not, it’s just a really well written book about getting ahead in business, juggling responsibilities and rising above adversity. * Of course I’m just assuming that because I’m taking Fey at her word. Maybe she’s like a WWE Superstar’s book where later we find out that she wasn’t a well adjusted famous person at all, but a pain pill popping adrenaline junky with a great ghost writer. Fey and Poehler would make a great tag team. Ooh, they could have a match against Wiig and Rudolph! ** I’m not nearly as good at it, but then again this is a first (only) draft and I’m not sweating it. Posted on May 30, 2011, in Reviews and tagged bossypants, Comedian, comedy, mike bobbitt, off the mike, tona fey. Bookmark the permalink. 1 Comment.